In 2009, Claire Ridgeway had a very vivid dream about Anne Boleyn’s execution, which prompted her to research the life of this unfortunate Tudor Queen and spread the truth about her story. Thus, The Anne Boleyn Files, was born. But although the site is dedicated to Anne Boleyn, it also covers every aspect of Tudor history you could possibly think of. Claire debunks myths on Anne and her family, sheds light on life at the Tudor court, introduces us to members of the Boleyn and Tudor clans that have become mere footnotes in history, shares the latest news about all things Tudor and so much more! She has also written several books about Anne and is the co-author of a biography of George Boleyn, and sells, on her site, jewellery, clothes, and dolls, inspired by the Tudors. It was the Tower of London that doomed her. After stepping through its gates on a cold winter’s morning in November 2000, Natalie, a researcher, educator, and writer living in Australia, became fascinated with the Tudors. 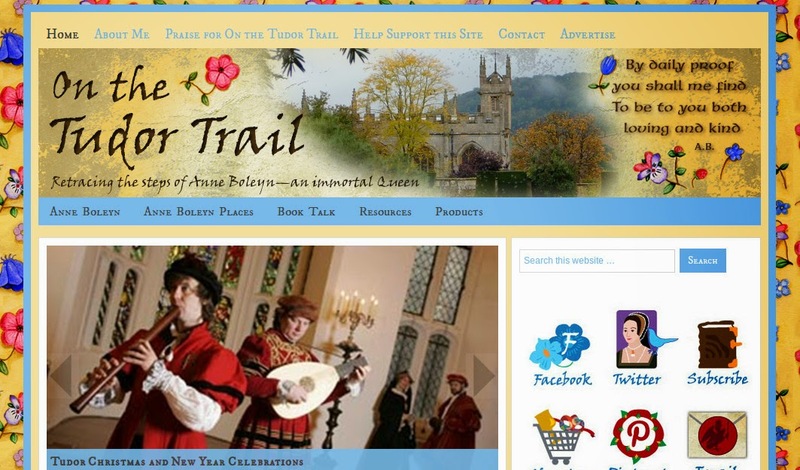 Nine years later, she created On the Tudor Trail, “a website dedicated to documenting historic sites and buildings associated with Anne Boleyn and sharing information about the life and times of Henry VIII’s second wife”. Her blog is a treasure trove of information about the Tudor dynasty and life in England in the 16th century. Natalie is also the co-author of “In The Footsteps of Anne Boleyn” and is currently working on her second book, “In the Footsteps of the Six Wives of Henry VIII”, which is due in 2015. I can’t wait! Sarah has always been fascinated by the incredible rise and tragic fall of Anne Boleyn, the woman for whom Henry VIII broke with the Church of Rome only to kill her several years later. So, it was only a matter of time before she created her own blog about this unfortunate Queen. On Anne Boleyn: From Queen To History Sarah shares her “thoughts and ramblings about Anne and Mary Boleyn and all things related to the reign of Henry VIII”, and reviews books about the Tudors. And she has many! Her posts are written in a colloquial but accurate manner that never fails to entertain and engage you. Staunch protestant Edward VI couldn’t bear to be succeeded by his Catholic stepsister Mary and so changed the order of succession, bestowing the crown on Jane Grey, daughter of the Duke and Duchess of Suffolk, granddaughter of Mary Tudor and great niece of Henry VIII. Jane would reign for only 9 days before Mary took over and became Queen. Eventually, she was condemned to death for treason. 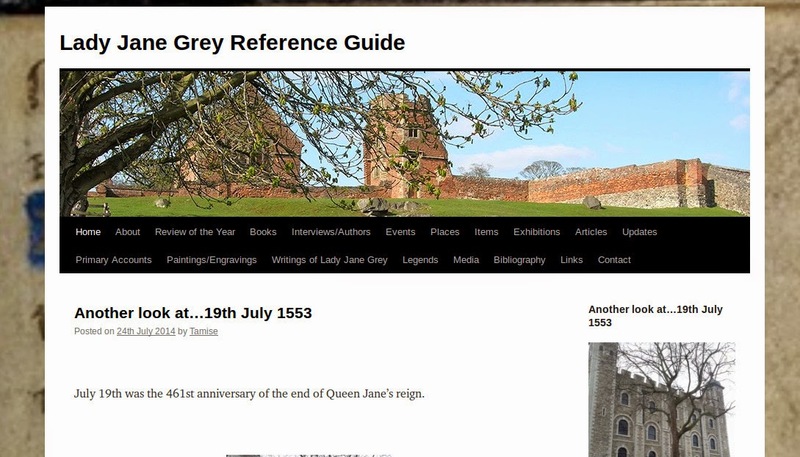 Tamise became interested in her in 1994, but was frustrated by the lack of readily available books about this intriguing young woman so she created the Lady Jane Reference Guide to “provide a guide to the location of information about Lady Jane Grey, the nine days queen, including primary accounts, paintings, her own writings, legends, media representations and a general bibliography.” But on her blog you can also find lots of interesting articles about every aspect of the life of Lady Jane Grey, and much more. 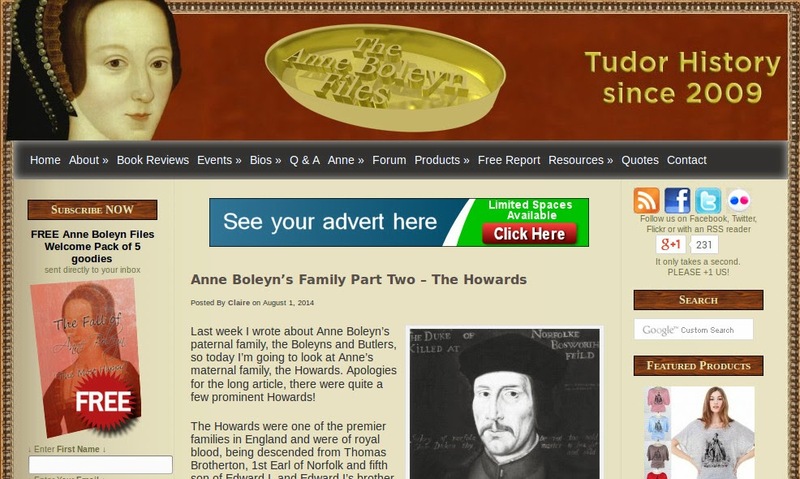 What are your favourite Tudor blogs?